Do you think a lot of people are on the phone in public? Have you ever wondered what you could do to reduce or even avoid such a situation? The first thing you must think about is the law enforcement of the relevant managers, but that's not going to work. 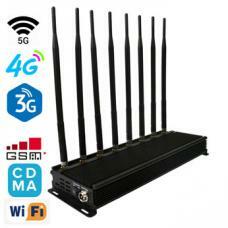 You might consider buy GSM jammer, which is a jamming device designed specifically for GSM signals. 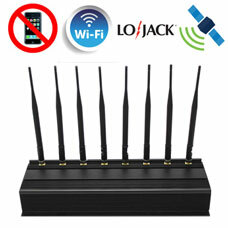 The current GSM blocker is not only jamming for GSM, but also for shielding GPS and WiFi signals. 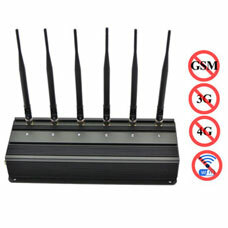 In the category the signal jammer can block the 2G frequency and other frequencies that you can combine including GPS.Nowadays people can track you not only by GPS satellites but also the cell phone tower.There is a modern technology called Assisted GPS,which uses a combination of GPS satellite tracking and cell phone tower location triangulation to find out where you are more quickly and precisely.And it is embedded in many tracking device and the new microchips inside telephone. To against such complex device,we need the blockers jamming for both GSM and GPS signals. The most important of these GSM jammer price is affordable and have portable feature.Thus these more than cell phone blockers in the list are your choices to protect your privacy. 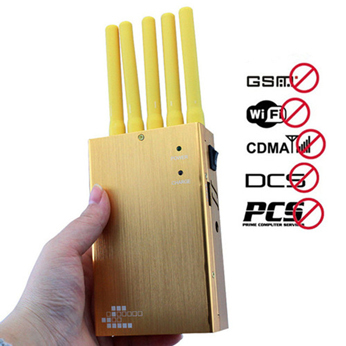 Portable cell phone jammer can effectively block CDMA/GSM DCS/PHS 3G GPS. Portability makes it convenient for outdoor use such as car, jamming radius up 15 meters. 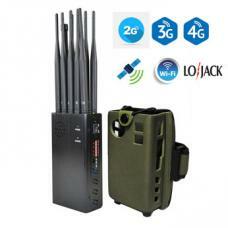 Handheld military camouflage phone jammer wide jamming GSM 3G 4G WiFi GPS and Lojack.Multiple signal type combination multifunction signal jammer for your choice.Jamming radius up to 20 meters. Desktop jammer GSM jamming device,3G and GPS signal.It can deal with the A-GPS tracking to protect your privacy and be used in many places with jamming radius up to 30 meters. The hidden GSM 3G 4G cell phone jammer like photo-frame which can be mounted on the wall has a noble and elegant design with jamming radius up to 50 meters.It's a perfect gadget for indoor cell phone signal jamming. It's very hard to be found out when you put it in the cigarette case.The small 3G GSM mobile jammer is designed for you to block the cell phone secretly. Global System for Mobile Communication,is the most widely used Mobile phone standard. More than 1 billion people in more than 200 countries and regions are using phones. GSM standard than it used to be the biggest different is its signaling and voice channel are digital, so GSM is regarded as the second generation (2G) mobile phone system.GSM main advantage is that the user can from a higher number of choose between voice quality and low cost of SMS. GSM provides easier interoperability as an open standard. The GSM is a cellular network, which means the mobile phone is connected to the nearest cellular unit that it can search for. Why do I need an adjustable GSM signal jammers? Everyone needs more signal interference device to block signals, they may need to block some of the signal, sometimes they determine the scope of the block according to the interference of radius distance, in this case, the best way is to use adjustable signal interference device, so that they can determine the interference signal frequency band and at the same time a disturbance radius. What you need to know is that GSM stands for global mobile communications system. This is a digital standard that uses a few frequencies a device can only use 850 or 1900 megahertz, and it can still be used in home networks. GSM jammer are small devices that prohibit the use of portable phones in certain areas.Before buying any of the signal jammers, we need to understand the signal frequencies used in our own country.For example, cell phone signal frequency band,North America (USA, Canada, Mexico) uses the GSM850/GSM1900Mhz band, the UK EGSM900Mhz and GSM1800Mhz bands.